Luxurious townhome (former builder's model) with numerous upgrades and amenities - you will be impressed! 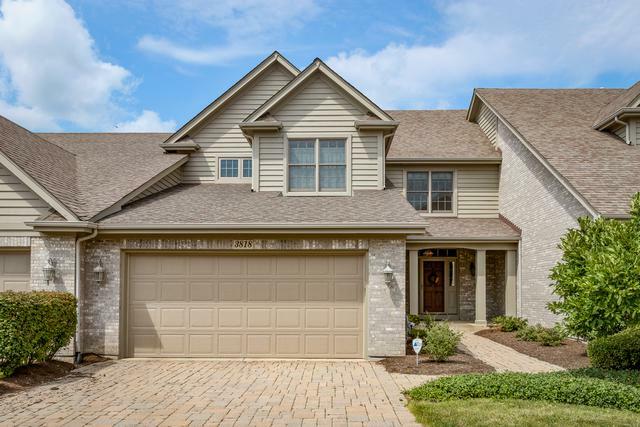 Detailed mill work, upgraded fixtures, hardwoods on entire first floor... Elegant neutral decor... Quality finished deep pour walk-out basement and 4,000 square feet of living space. 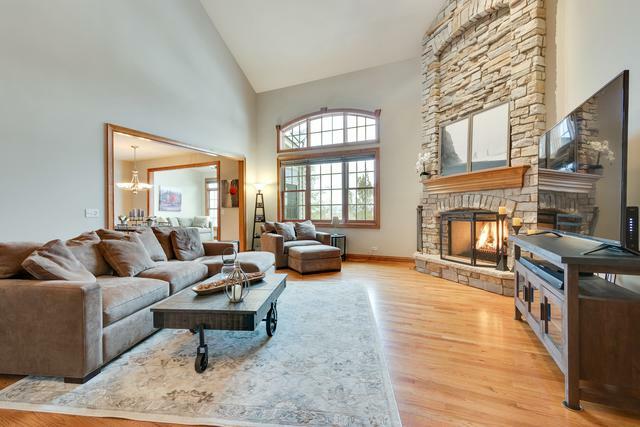 Open floor plan with dramatic living room with 20 foot ceiling and massive stone fireplace... Huge granite kitchen (note size) with custom cabinetry and Stainless Steel appliances!! Dinette opens to vaulted 4 season sunroom and upper deck!! Master bedroom with vaulted ceiling, 2 walk-in closets and vaulted luxury bath!! 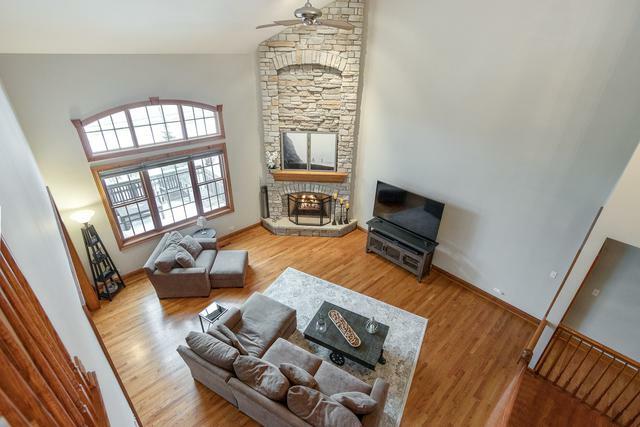 Walk-out lower level with fireplace, full bath, and rec areas!! 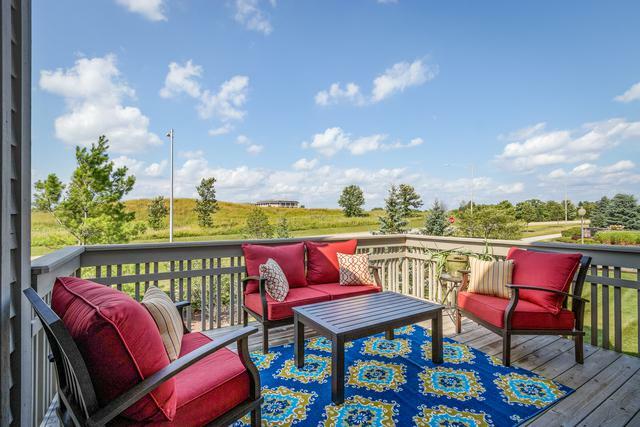 Great location close to Geneva Commons shopping and restaurants, Otter Cove Aquatic Park, and Metra! Move-in condition! !